I had no idea one of the most expensive homes in the country is located right here in Miami on Star Island. 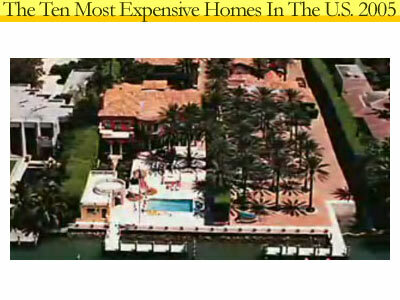 Forbes magazine released their list of the 10 Most Expensive Homes in the U.S.; and a home on Star Island got 7th place. This sprawling estate is possibly the shiniest property on the aptly named Star Island—Shaquille O’Neal and Gloria Estefan also own homes on the man-made lozenge of land. The architecturally diverse buildings encompass a total of 13 bedrooms, with the main house alone totaling 6,650 square feet. It has a brick kitchen and library walls covered inScalamandr é silk, as well as a 10,000-bottle wine cellar and a gun safe/safe room, both protected by fingerprint scanners. I want to thank my real estate agent friend Bryan Sereney for taking the picture of the Star Island estate. Bryan is a good guy, and has a unique approach to showing properties. He likes to take his clients up for a helicopter ride for a birds eye view of the city. 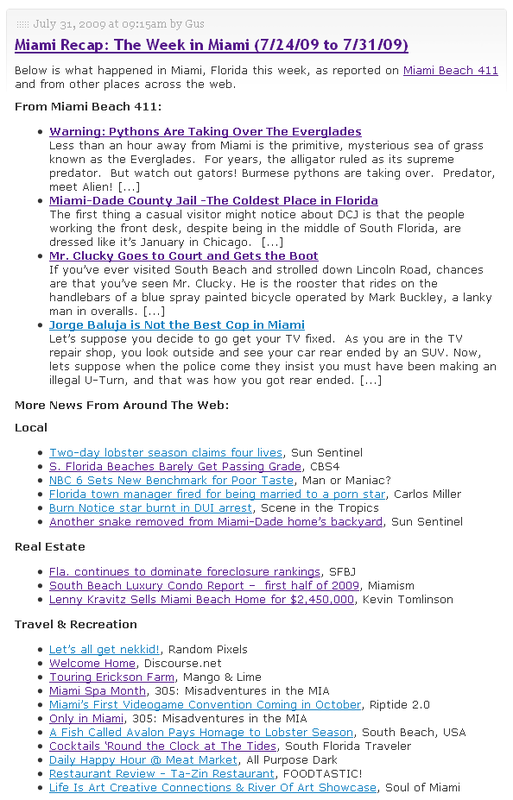 10 Responses to "Star Island Miami"
The funny thing is, most people are afraid to get into a helicopter. The ones that do however are left with a lasting impression of how beautiful Miami really is. There is no better way to see real estate than from the sky and no better way to learn the lay-of-the-land. You and Alex have taken so many great ariel photographs of Miami. For your clients who are too afraid to go for a helicopter ride, why don’t you add a section on your new Miami real estate site and show some of your pics? BryanSereny.com has some nice pictures of the city, but the ones I want to see keep flashing around;-) Just kidding. Your new site is cool. What a great idea, I’ll create a Miami Real Estate Photography page and let you know when its up! Photography has always been a hobby of mine, and being a real estate agent in Miami with so much competition one really has to use all of today’s technology to provide the highest level of service possible. In case you were wondering, I use a Nikon D70 with a Nikkor 24-120 VR Lenses. VR or “Vibration Reduction” eliminates fuzziness you normally would have when a camera is not stationary. If asked, I would highly recommend this combination. I also use a Fisheye-Nikkor 10.5mm lens which is great for interior photos as it has a 180 degree angle of view. How many stars live on Star Island? I think you have had a mix up with pictures, no 7 on Forbes top ten list in 2005 is not this house, this house is owned by Philip Frost (IVAX) the hoiuse that is 7th looks completely different!!! Hi, Star Guy, thanks for the feedback, and you’re right about Bryan’s picture not being the house from the Forbes’ list. Here’s a link to the picture from Forbes. Do you live on Star Island? Hi Gus, i dont live on Star Island but ti is my life long ambition, you say that im right with Bryans picture being wrong, is it Brians picture because it says that the article is by you so is it your mistake or his? Is the picture going to be rectified by changing it to the picture on Forbes, also how was the mistake mad of using a picture of Philip Frosts house?It isnt even for sale!!! Hi, Mark. Is it true you don’t have to live on Star Island to drive past the guard gate? I know two Miami Police Detectives that tell me you don’t have to live on Star Island to drive on the Island because the streets are maintained by the city. Would love to find out if that is true, or not.